From the Item Library in your online Square Dashboard, low stock alerts are shown under the Stock Alert column for items with alerts enabled. Stock alert notification emails are sent to the email address associated with your Square account daily if any item with alerts enabled falls below the alert threshold. The email will list any items that fell below the alert threshold today, as well as any other items that fell below the alert threshold on previous days. You can disable email alerts for an item by unchecking the Alert box for that item. Additionally, you can configure your emails notifications from the Email Notifications tab on your online dashboard. When you complete a sale with Square, inventory stock automatically decreases to reflect the updated item count. Sold out items will not block a sale for purchases accepted with Square. Your inventory will be updated accurately on your online Square Dashboard, but you still can complete sales for sold out items. 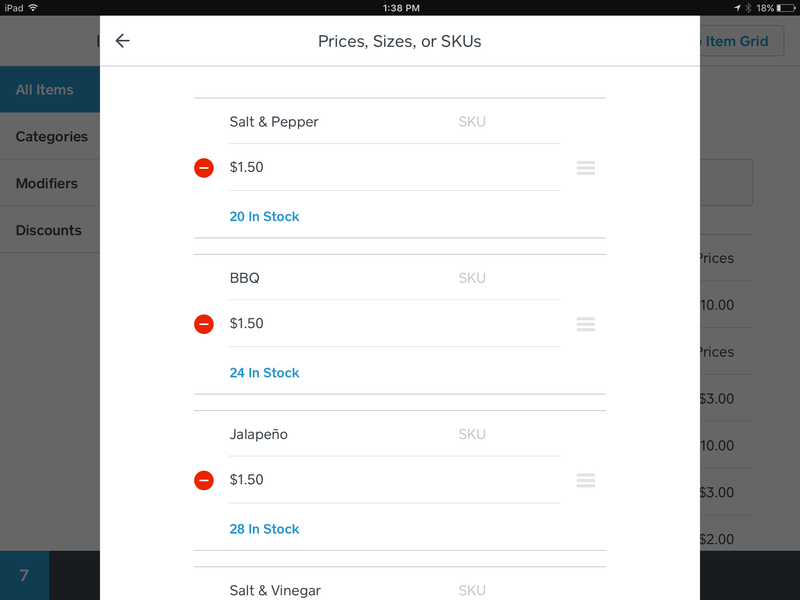 You can view how much stock you have for a particular item and make adjustments right from the Square app. Tap the three horizontal lines > Items. Create or select an existing item. Enter a stock amount under the item details or tap Prices, Sizes, or SKUs to add stock to an item with multiple variations. To adjust stock, tap the stock amount > select a reason > enter amount to be adjusted. You can also go straight to step 3 by pressing and holding an item from your in-app items grid.